I have a really strange issue with my Affinity Designer. Maybe I unconsciously pushed some wrong buttons before, but when I click any object, it gets this weird pink-ish outline coming from nowhere. 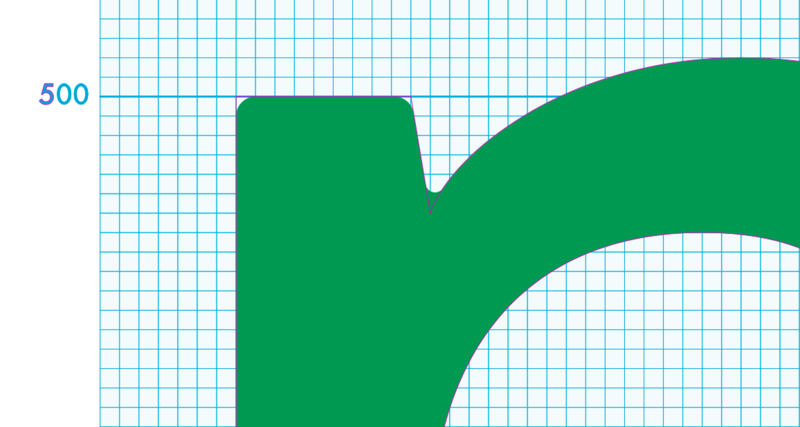 The huge green shape actually is drawn as the pink outline shows, but the Corner Tool is applied so it doesn't match in corners. Also the odd happens to text, you can see on the left only the first letter gets the outline. I should also add that it is only a viewer issue, Designer doesn't create an actual object/shape and the outline doesn't show in exports. Plus I tested and it seems to be app-oriented stuff as it happens to all documents I open and then select an object. Thanks for any input on this. I've tried going through the View menu and Preferences, but couldn't solve it on my own. The purple outline indicates the object is considered a snapping candidate. You can disable it going to menu View ▸ Snapping Manager... and unchecking Show snapping candidates. For more information on snapping (and snapping candidates) please check Affinity Designer Help ▸ Design Aids ▸ Snapping. Well, at least it's here for someone next.